Using X-Ripped “unleashes your natural power”, according to its website, but what does this truly mean? Can using this supplement boost our own muscle building efforts? In the following review we will look at the claims being made by this supplement and whether they can be proven. We will also look to see if there are any hidden charges to worry about. We can see already that X-Ripped is available for trial, which is often a bad sign, but only time will tell if this is the reality or not. 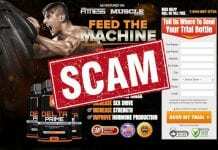 4 Is the X-Ripped trial a scam? This all sounds fine, but when looking at claims you should remember that they have been designed to entice you into signing up for the offer. Whether these claims are accurate or not will depend on what ingredients have been used to create this product. X-Ripped is said to work by reducing the negative effects of oestrogen, which will then help your natural testosterone levels. It can do this thanks to ingredients such as Diindolylmethane or DIM, Phosphatidylcholine, Curcumin and Chrysin. These have been shown to be of benefit, so I can see why you may want to take X-Ripped to aid your own diet and training efforts. Whether we would recommend that you sign up for this trial offer will depend on how much the supplement costs. While the claims and ingredients of X-Ripped seem ok, the same cannot be said of its prices. As expected as a trial X-Ripped is not totally upfront about its cost. It states that you can “try risk free”, which I have no doubt some people will take as meaning free of charge, however this is not the case. What will happen is that you will be sent the trial bottle, but will only be allowed 15 days to try the supplement before you are charged the full purchase price of $89.95. As with the various other trial offers we have reviewed before you will also discover that should you fail to cancel the trial you will be sent another package. This is called auto-shipping and is the main reason why trial offers have such a bad name for themselves. Is the X-Ripped trial a scam? If it were not for the high price and use of auto-shipping then I might have recommended X-Ripped. As things stand however, I would recommend avoiding it, and to look for an alternative. There are various alternatives that are much more cost effective. At the time of writing this review there was no email address available to view. 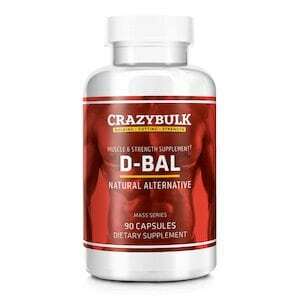 If you want a little extra help gaining muscle and strength but do not want to waste your time signing up for a trial offer then I would suggest that you take a look at the Crazy Bulk website, in particular at a supplement called D-Bal. 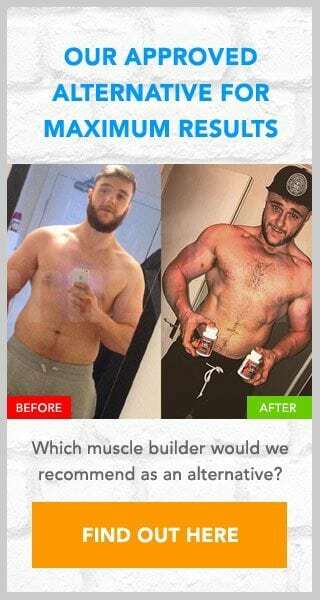 This muscle building supplement has been created to mimic the benefits of the now-banned steroid Dianabol, yet it is completely safe and legal to use. As D-Bal is not available for trial the price you see onsite is the price you pay. There are no hidden or repeat charges. Thanks for the heads up. I called the number and after 5 rounds of discounts, they finally told me that my account would be closed and I could keep the bottles at no further cost to me. Just in case I will be calling my credit card company to ensure that there are no further charges beyond the shipping costs I did agree to. Again, thanks for your help.